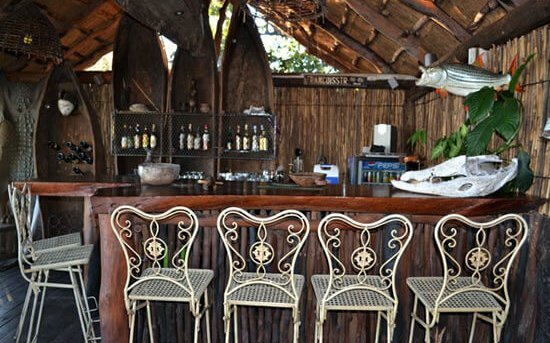 The Caprivi Houseboat Safari Lodge is located in Katima Mulilo in the Zambezi Region. It features a bar with lounge, restaurant, garden, braai facilities, front-desk safe and laundry facilities. We have free parking and free Wi-Fi in public areas. The Victoria Falls, Chobe and Nkasa Rupara, Mudumu and Bwabwata National Park are all close-by from our Lodge. We have 6 rooms and 3 campsites. 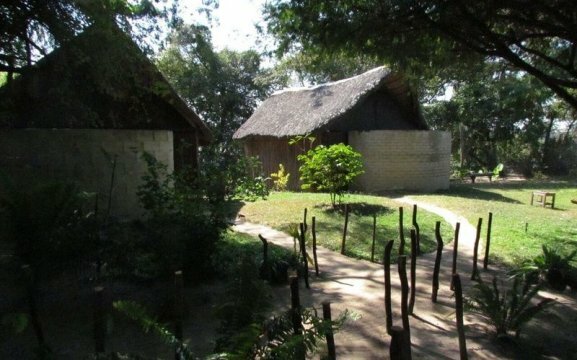 The rustic thatched en-suite chalets all feature ceiling fans, free bottled water, free toiletries and mosquito nets. 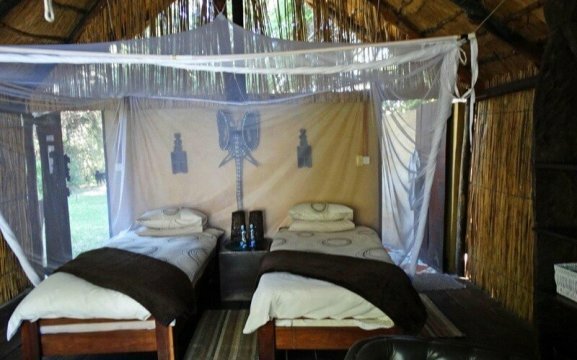 They are built with reed walls and have canvas curtains, to give that extra “sleeping in the open” feeling. 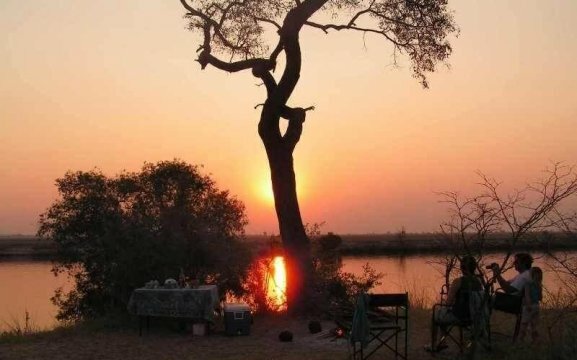 Our campsites have power points, light, running water and a central ablution block, braai facilities and they have a small gas cooker and dish-washing facilities. 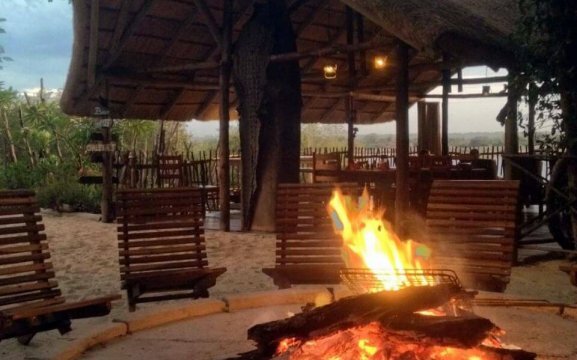 Activities at the Lodge include overnight safaris on the safari boats, fishing, sunset cruises and birding. 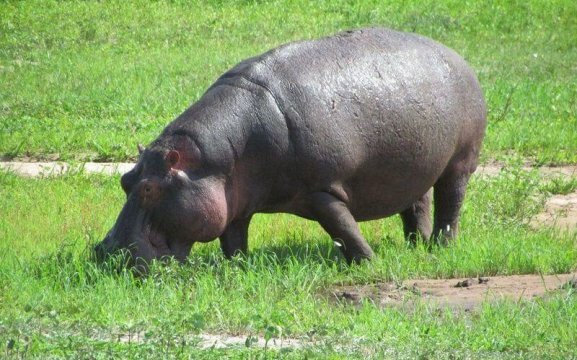 Guests can also visit the Bwabwata or Nkasa Rupara National Park. 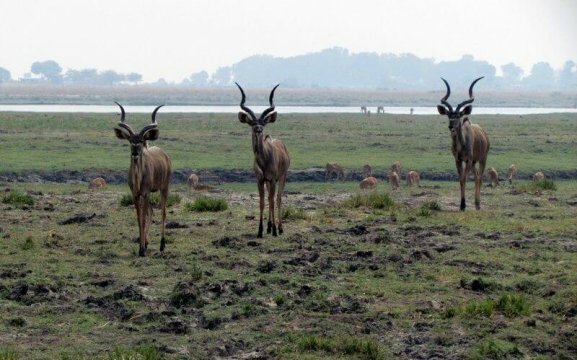 The overnight safaris will take you down to the Zambezi and Chobe Rivers, with fascinating fauna and flora to see. 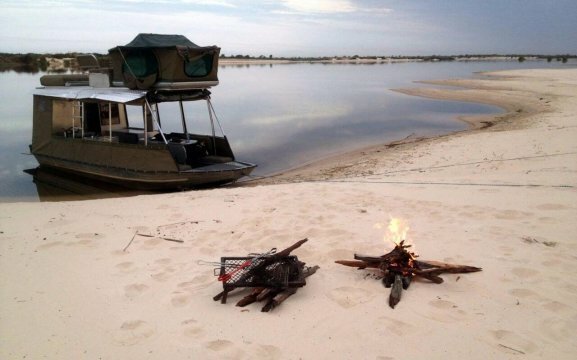 In the evening we have a campfire on a secluded white sandbank before heading back to your comfortable tent. 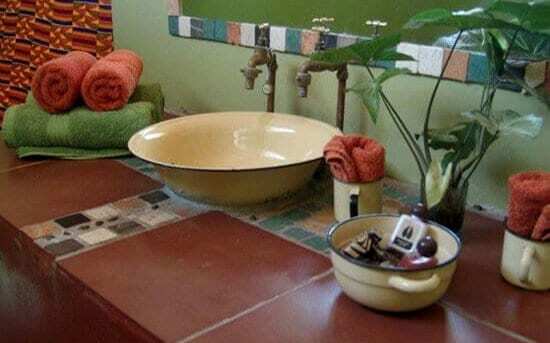 Our boats feature the necessary kitchenware and camping equipment.